Home / News / Philippines / Epal pa more! Bishop gustong akuin ang trabaho ng gobyerno? Epal pa more! Bishop gustong akuin ang trabaho ng gobyerno? 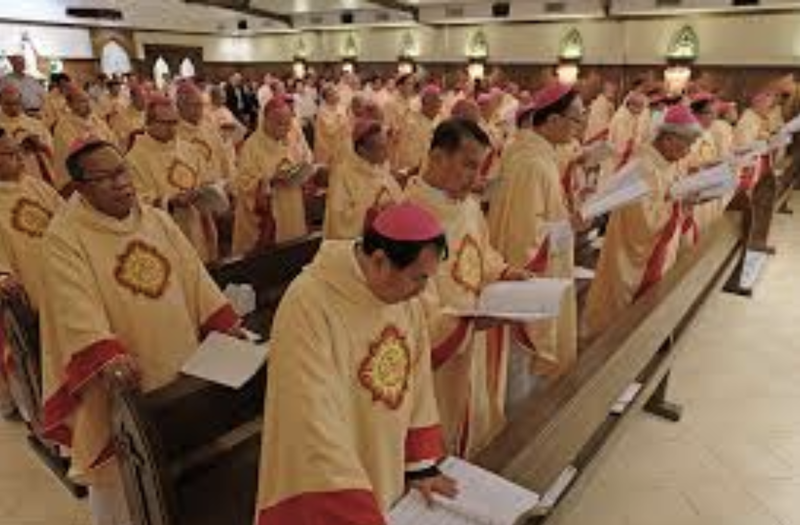 MANILA -- The head of the Catholic Bishops’ Conference of the Philippines - Episcopal Commission for the Pastoral Care for Migrants and Itinerant People (CBCP-ECMI) on Friday urged overseas Filipino workers (OFWs) to avail of the jobs that will be offered by the government under the Duterte administration’s “Build, Build, Build” program. CBCP-ECMI chairman Bishop Ruperto Santos expressed support for the Department of Labor and Employment’s (DOLE) plan to hold job fairs in Middle East countries, where many Filipinos are employed. “Yes, we at CBCP-ECMI support and encourage our OFWs to avail of it,” he said in an interview. The Bataan prelate noted that it is the government’s obligation to provide jobs in the country so that Filipinos would no longer seek employment abroad. “It is (the) primary duty of government to create jobs here (so) as to avoid brain and manpower drain, to ease pains and problems of family separations. Thus, we will no longer be a migrant workers-sending country, and going abroad for jobs is just (an) option, no longer forced choice,” he said. “Creating jobs here would be very beneficial to the country's ‘Build, Build, Build’ program, for it is well known that our OFWs are very skilled manpower,” Santos added. Earlier, Labor Secretary Silvestre Bello III said they are planning to hold job fairs in several Arab States to encourage Filipinos working abroad to apply for employment in the country. He noted that they are looking to hold the event initially in Qatar and Saudi Arabia in October. The labor chief said the country would need more workers, particularly their expertise in the construction sector, in connection with the government’s numerous infrastructure projects under “Build Build Build”.